The Reptile Report - MM Reptile Solutions took these wonderful photos of an incredible looking pair of leucistic monocled cobras (Naja kaouthia). 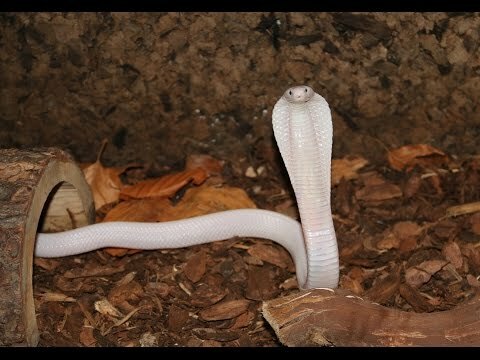 YouTube - Check out this neat video of a wicked leucistic monocled cobra flashing its hood for the camera. 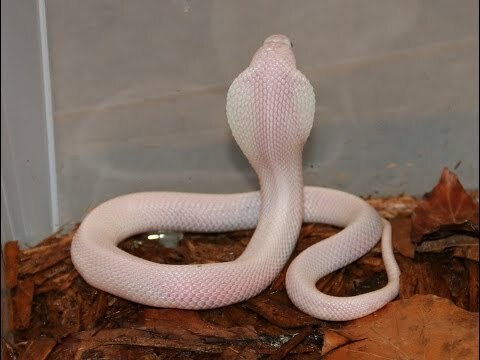 The Reptile Report - Michiel Meesters of MM Reptile Solutions shows off the beautiful colors and graceful pose of his 2014 female albino Naja kaouthia (monocled cobra). Arachnoboards - See photos and a feeding video of a beautifully colored pair of Naja samarensis. YouTube - A beautiful leucistic monocled cobra (Naja kaouthia) chows down on some mice and shows off its hood for the camera.